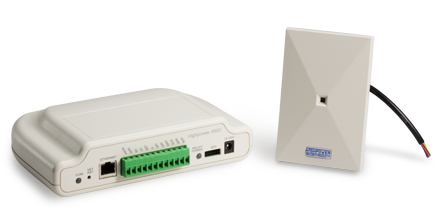 Rugged access control power supplies for electromagnetic locks & access equipment. 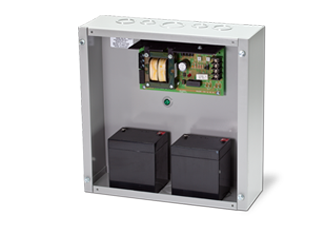 The Lightning 505 Regulated Power Supply is a reliable, general purpose access control power supply. 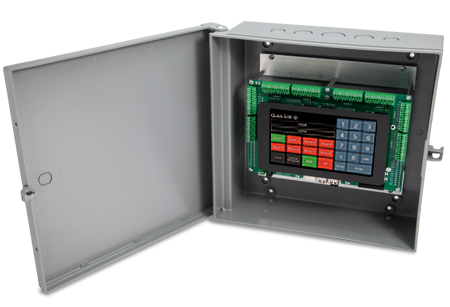 It features selectable 12 or 24 VDC 1 Amp output with integrated battery backup, guarding against electrical failure (actual voltage output is 13.8 VDC and 27.6 VDC respectively). 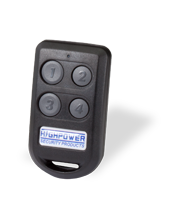 This access control power supply is a linear design, so it can work well with sensitive electronics (like powering card readers and door controllers) in addition to powering a selection of access control equipment, including electric strikes and maglocks. Using the battery backup feature with this access control power supply is optional, and there are several battery backup configurations. If you are running the power supply in 12 VDC mode, you can use a 12V 5AH battery, two 12V 5 AH batteries or one 12V 7AH battery. If you are running the power supply in the 24V mode, you should only use two 5AH 12V Led Acid batteries.